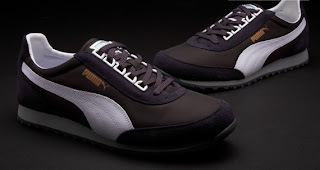 Originally issued in 1982, the Zodiac was in tune with the Fast Rider, Air Rider and Trimm Quick running collection of the '80s. The Zodiac silhouette was the ideal performance jogging and training shoe of the '80s. 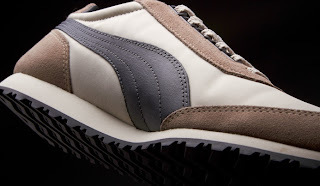 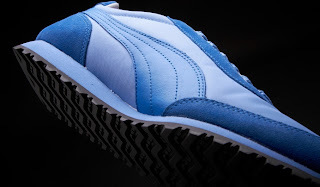 The outdoor running shoe was known for its clean minimalistic upper, with its unique and aggressive rubber outsole tread pattern to tackle any outdoor terrain. 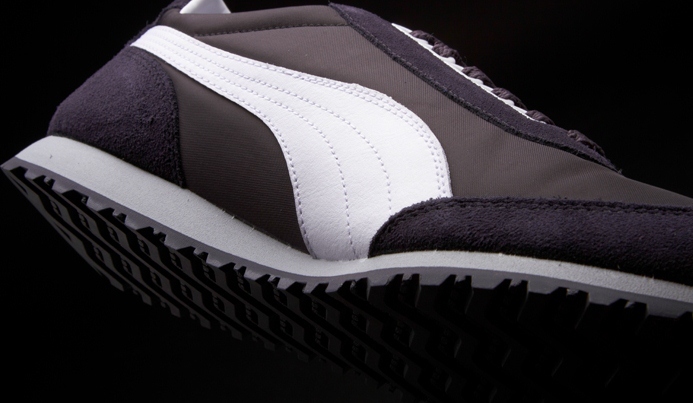 Some key design features include a thick EVA midsole, clean vamp and toe overlay with D-Ring lacing system for comfort and stability. 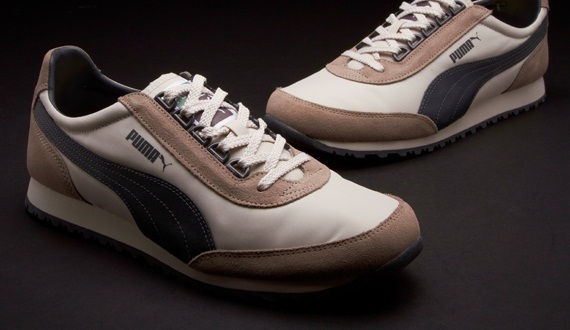 This classic jogger will be re-released in Autumn/Winter 2012 to further extend and build on our Vintage Running series within PUMA Archive. Nylon/suede upper for a great feel. 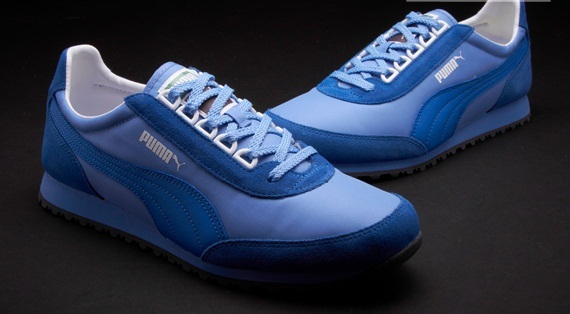 PUMA label on tongue, PUMA logo on side, PUMA Cat logo on heel, PUMA formstrip on sides.